This is a great idea! I'm a new follower! Thanks for stopping by. I am heading over to your blog now! Just stumbled upon your blog and am loving it! I've nominated your blog for the Liebster Award. Check out my blog post to see what that means! I just found your blog through the Liebster Awards and I am glad I did! 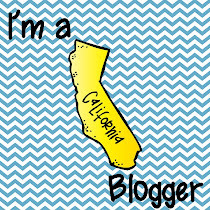 I am your newest follower, and I love your blog design! Thanks Melissa! I am a self-taught blogger and it has taken hours and hours to get this up and running!!! I am clicking over to your blog now so I can follow you!